Bar Bones Skull Cocktail Picks | BUDK.com - Knives & Swords At The Lowest Prices! 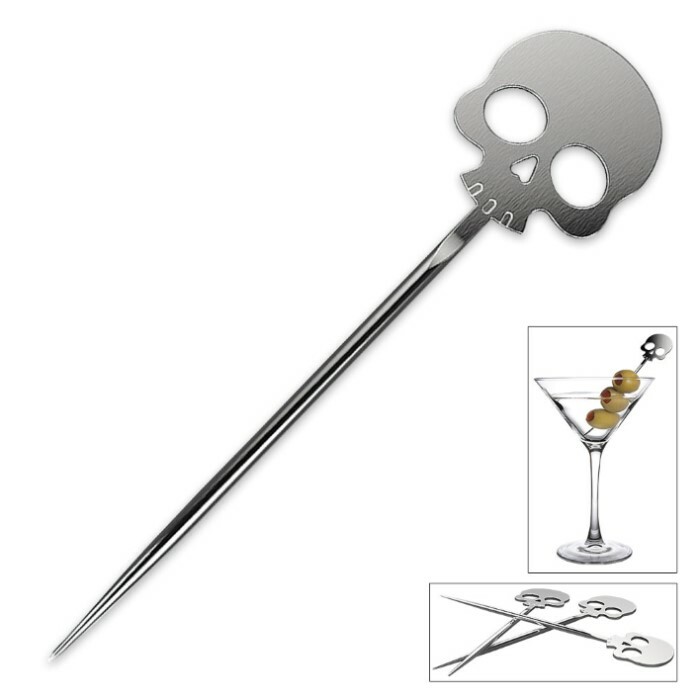 You won’t be able to resist these cocktail picks with their cool skull design. 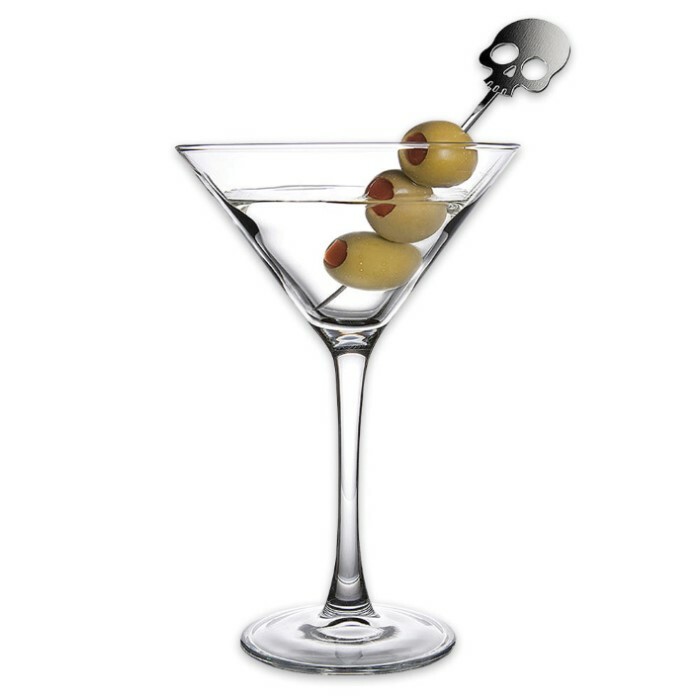 They are made of rust-resistant stainless steel and are great for anything from olives to Provolone cheeses. 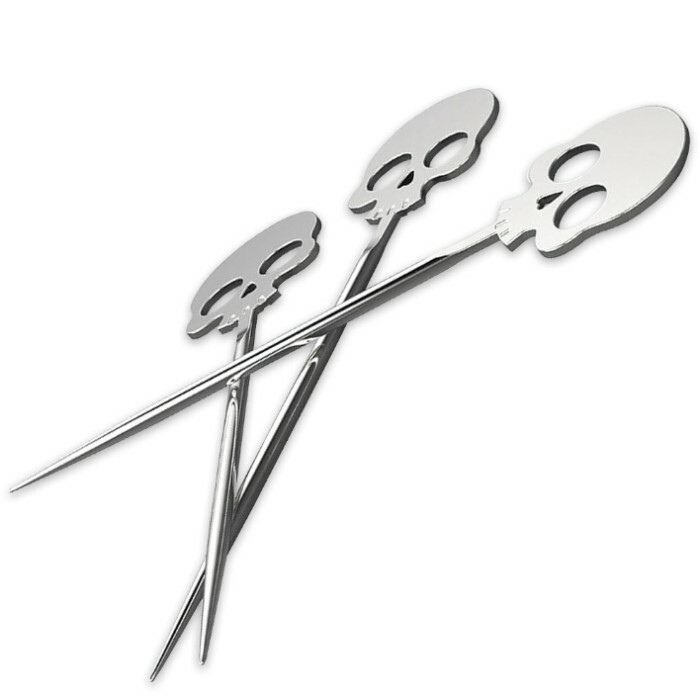 Each pick is 1” in length and there are six to the pack.